DESCRIPTIONAWS Region Services is seeking a talented, innovative, and solutions-oriented Network Development Engineer to help innovate and disrupt launch vehicle and satellite ground and space processing systems. For this role, we are seeking Satellite Network Development Engineers to network space into our Data Centers. Our team is responsible for bringing all forms of space into Amazon’s massive-scale data center networks. Our space networks provide high bandwidth and low latency solutions for networking launch vehicles, aggregating satellite systems, inter-connecting space system networks, and enabling management and monitoring of all satellite control network devices and critical data center infrastructure. The ideal candidate will have experience in developing worldwide networks of space, launch, and satellite ground, hardware and software systems as well as architectures and technologies that are robust and easy to deploy and operate. This role will apply deep domain knowledge of satellite system ground hardware, satellite control networks, space processing software, antennas, and space operations in order to deliver global satellite systems and networks that can reliably support an international set of space customers. This Space Network Development Engineer has built several high-performance, stable, scalable satellite control networks and deployed them in an enterprise setting. We are inventing the space networks of the future, so our engineers require a deep background in satellite processing algorithms and formatting techniques that process payload Level-0 data to produce higher-level products. The ideal candidate for this team will have a knowledge of satellite phased shift keying (PSK) protocols such as 2-PSK, QPSK, 8-PSK, as well as amplitude and phase-shift keying or asymmetric phase-shift keying (APSK) to increase the symbol-set to 32 and 64 bits. The candidate will also be grounded in FPGAs, GPUs, ASICs, optics and router system design as well as extensive experience designing and implementing satellite processing systems that process high volumes of high data-rate information. · Have flight software and orbital mechanics experience as well as experience in satellite and launch vehicle on-orbit and ground system satellite automation. · Be experienced managing large projects to completion, either as project manager or lead. · Candidate will want to measure everything and use data to drive decision. He/she will excel at using metrics, monitoring, and alarming to measure and improve the operational processes and performance of their team and the availability of their system. 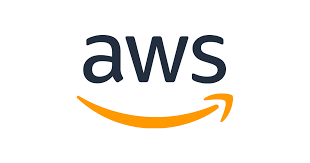 · Candidate will work with hardware, software and customer organizations across Amazon, translating customer and business requirements into actual technical solutions. · Candidate will have past experience working as a systems or software development engineer with networks, satellite systems, and satellite ground systems. You will enjoy keeping your technical skills current, to the point that you can lead architecture discussions. You will like to build systems and networks that bring AWS to the edge and regularly take part in deep-dive troubleshooting exercises to drive technical post-Mortem discussions and identify the root cause of complex issues.